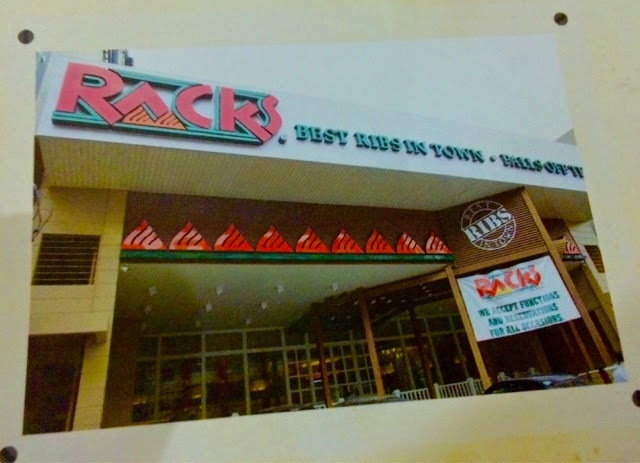 It's been a while since I visited Racks. The last time was with an event we had with a convenience store, and even then the food was awesome. 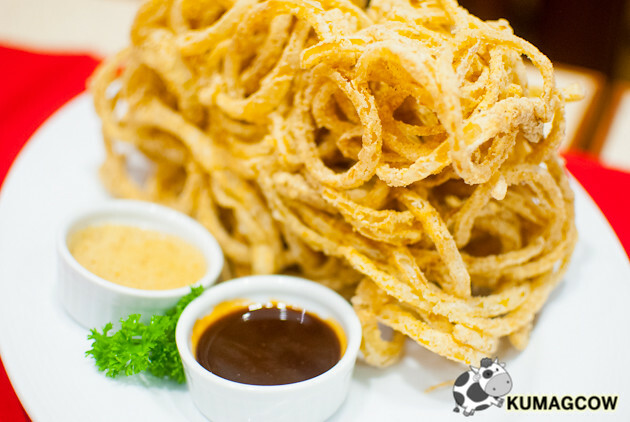 A few days ago, we got word that they opened one of their newest branches over at Timog Avenue in Quezon City. 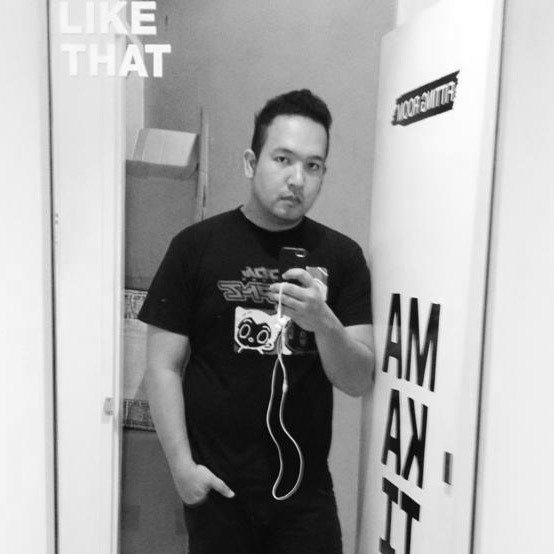 I was thinking of the "all white" interior they had the last time... but it looks Racks has got a new look. Too bad I didn't get the chance to shoot the facade because I was rushing to another event, but I'm so glad we stayed for what seems to be the star of their new restaurant. 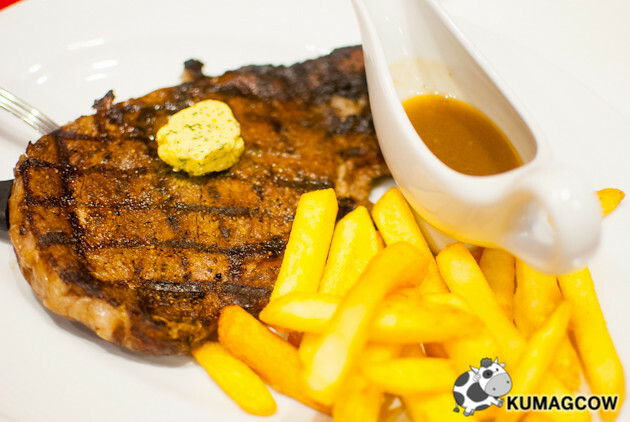 Oh yes, they've got some of the best American country dishes. After all, RACKS stand for Real American Country Kitchen Style. I bet a lot of you didn't know that... but here's the thing, you'll have to agree with me if I say RACKS has got the Best Ribs in Town! This is their Onion Brick. I've seen these in US food shows, but I've never seen one in the Philippines, so for me this is a first. The verdict? Very good. The thing still tastes like onion, and the batter isn't that overwhelming. It's not like you're eating breading on each bite since the batter is nice and thin. They put just enough to keep it crispy. The brick is more like a basket because they probably had it on a fryer just like in the US. Would I order this if I go back there? Definitely. The second one's pretty good too. 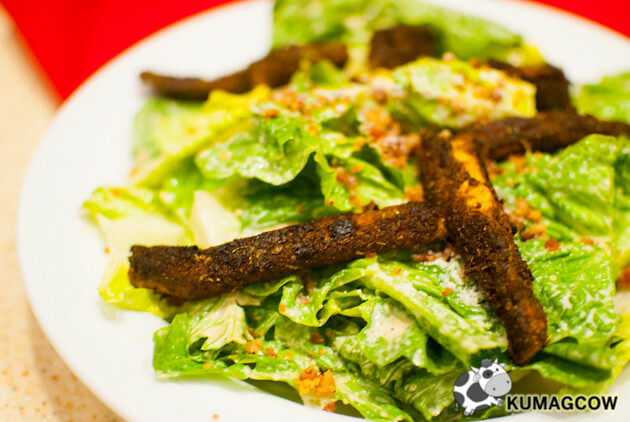 This is Racks Salad with Blackened Chicken Strips. The fresh Caesar Salad is done quite remarkably although I have reservations with the chicken strips. The one that was served to us was coated with cajun spice (a thing that I use in the kitchen quite often because my family has a ton sent from Canada) but I felt that time it was slightly, no overly burnt. I suggested to have it lightly fried until brown because honestly, the burnt taste was overwhelming. Searing is okay but burning is another thing. It was kinda off, still, the salad was good. The presence of a US Ribeye Steak in Racks just made me wonder. How can a piece of meat this good be in Racks? Well my questions got answered. It's fate. However, the meat that was served to us that afternoon was already a bit cold which was probably because they prepared it ahead of time. I must say, you should only have this steak as soon as they take it out of the grill... and into your plate. Having it cold made me realize the necessity of prime meat to be eaten at the right time. It was still tender though, and the seasoned butter on top was delicious. I would order this on a date, or a regular manly meal because for the price, it's still worth it. If you see the price of this grade of steak in other establishments, you'll compare their rates quite fair. I would order this on a good day. Piece de resistance? Of course it's the Baby Back Ribs! Racks has truly perfected the art of making this since they opened. They've impressed me of course and I think they're going to be the bar to measure the authenticity or goodness of ribs. It's really that good. 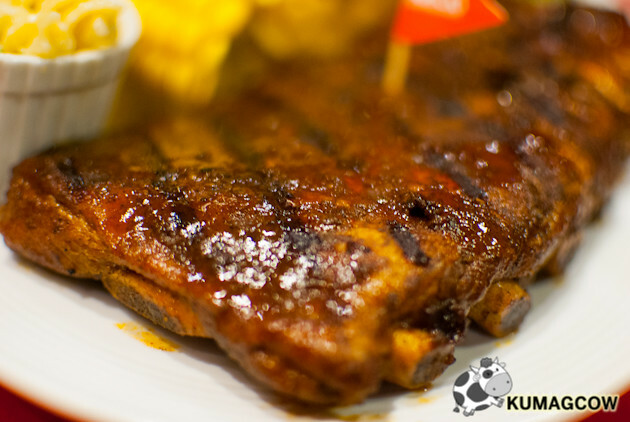 They make it the ol American Country way so if you've dreamed of having the best ribs, sweet and savory, plus the thing just falls off the bones.. tender... mouthwatering meat when you see it on your plate. Just hold that thought, and take a good look at these bottles that will take you to heaven! 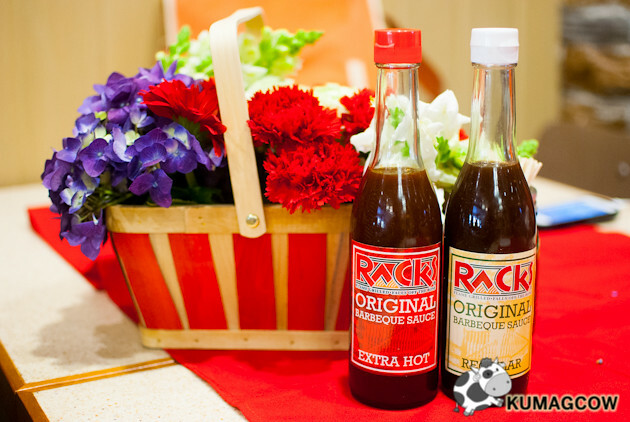 Racks Original Barbecue Sauce Regular and Extra Hot! They make a mean barbecue sauce (available in Regular and Extra Hot!) to go with those ribs. I even thought they were holding back with the spicy version, but I'm glad I ate a ton of ribs with that smothered over it... it literally made me cry.. 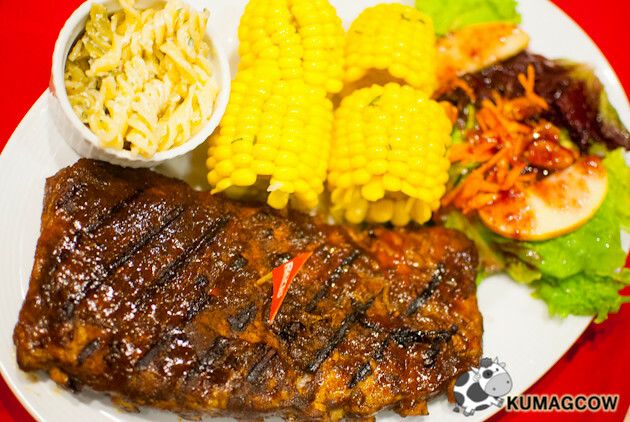 I was so glad, it was like the perfect way to have my taste of Baby Back Ribs. You should never let this experience pass and take your family, your friends and everybody else to a Racks branch near you. 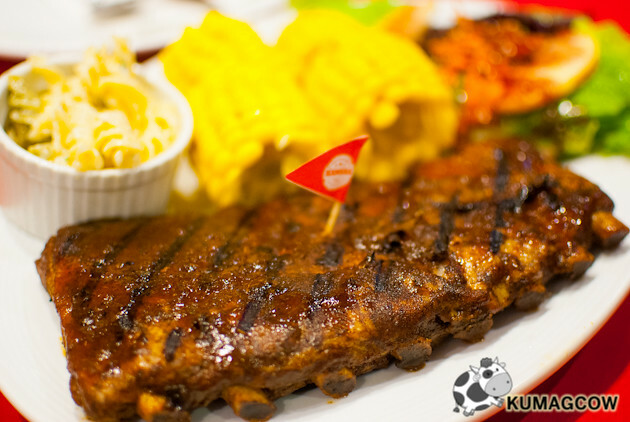 The Timog Avenue branch between Scout Tuazon and Scout Tobias was quite lovely though, I suggest you go there to experience the best ribs in town bar none!